I bought this beautiful French fabric at the Knitting and Stitching show in March. 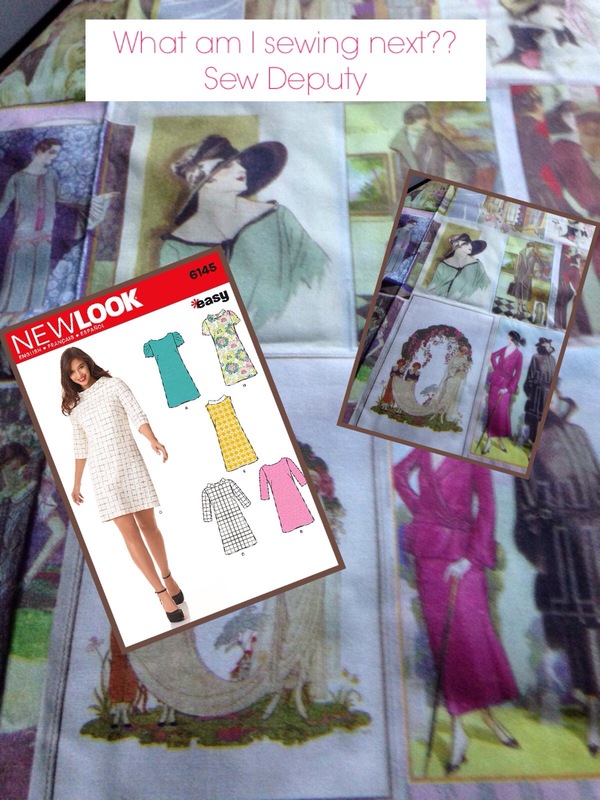 I decided on a shift dress to show off the beautiful pictures of 1920s style ladies. 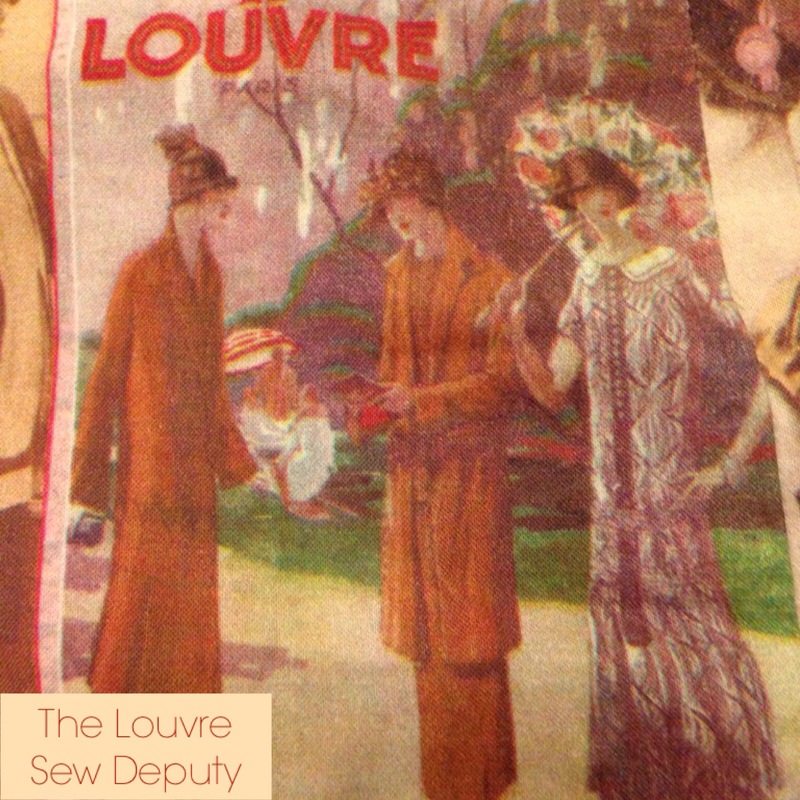 The fabric was bought from a couple from France . They had designed and made it themselves. They had some beautiful designs, you could even get the ladies on fat quarters to make a quilt! How gorgeous would that be? The fabric was very wide so I just bought one metre. I decided to add a few new design features and so it now has the tiniest pleats on the front and the back neck! 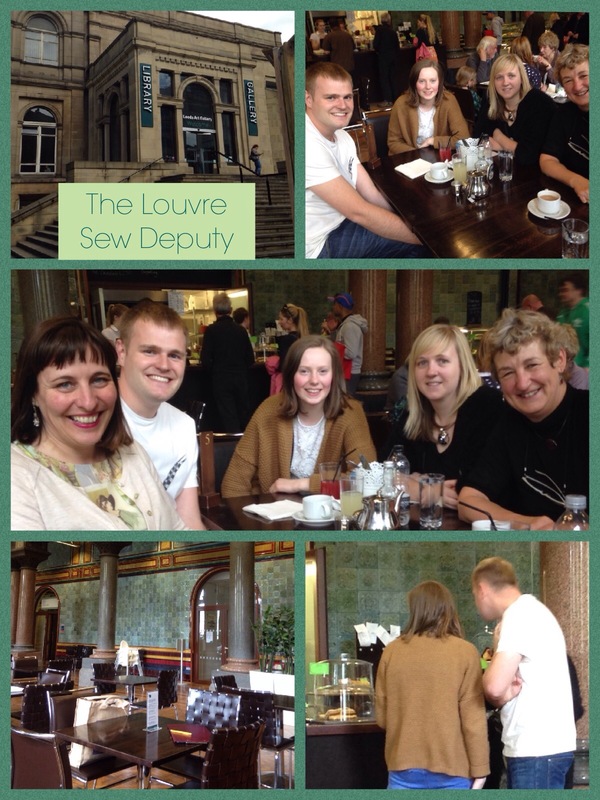 As I knew I was going to visit my friend Janice in Leeds I requested a visit to the Art Gallery cafe for blog photos. My parents had been a few months ago and I had loved the photos my Dad taken in there, so I knew this would be a great venue to show off my dress. And why The Louvre? It is written in one of the pictures on the dress and seeing as it is an art gallery and I was in an art gallery- it seemed appropriate! It is a beautiful building with tiles on the walls and stairs and floors. 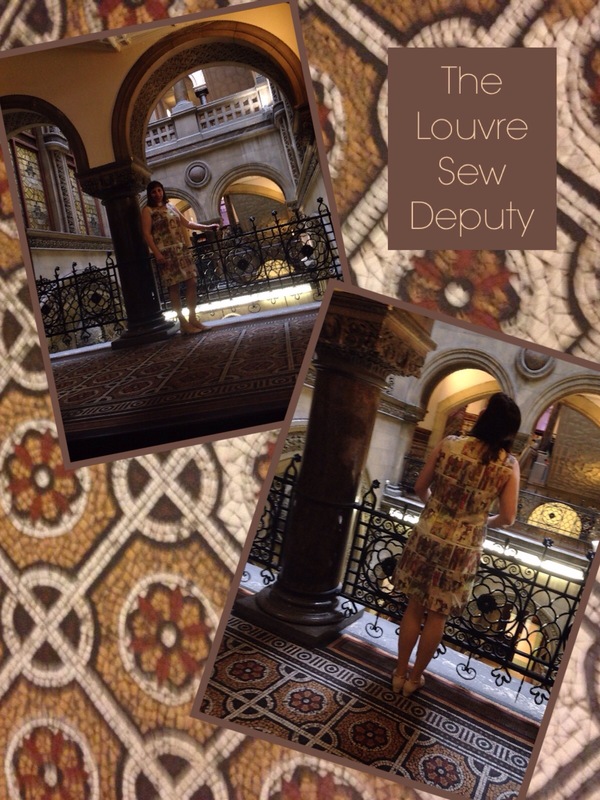 The background of my photo collages are the tiles in the cafe. 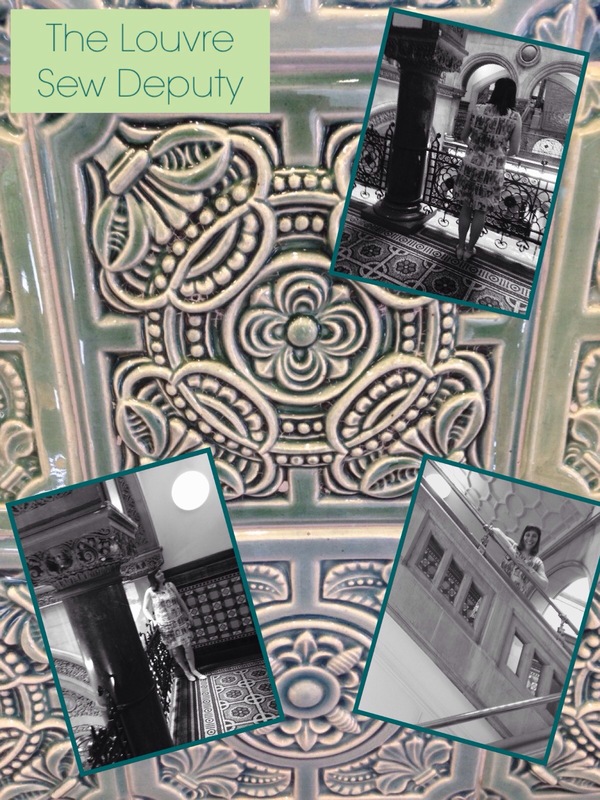 The Art Gallery is the most beautiful building and I hope my photos show off the intricate tiles and surroundings. Here we are waiting for our lunch! When I sat down at a table a lady called over to ask where my dress was from! She was really impressed when I said I had made it myself! 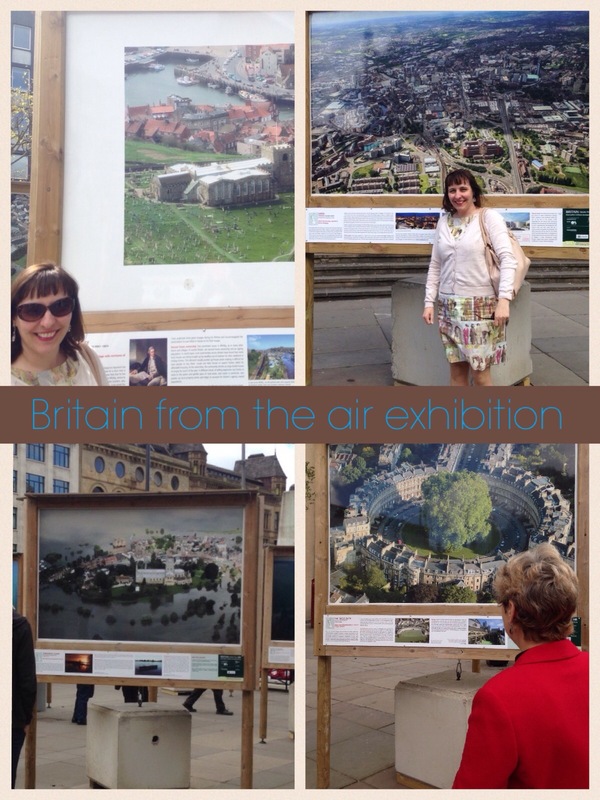 Outside the art gallery was a great exhibition of Britain from the air , so here are a few shots of that. They were amazing to look at. After lunch we had a wander around the shops and into the market for a look at the fabric stall- B and M fabrics. My Grandma used to take me here when I was a little girl, and when I started sewing again I went to hunt it down and like a homing pigeon went straight to it…! They have also just opened a shop on the outside of the market. 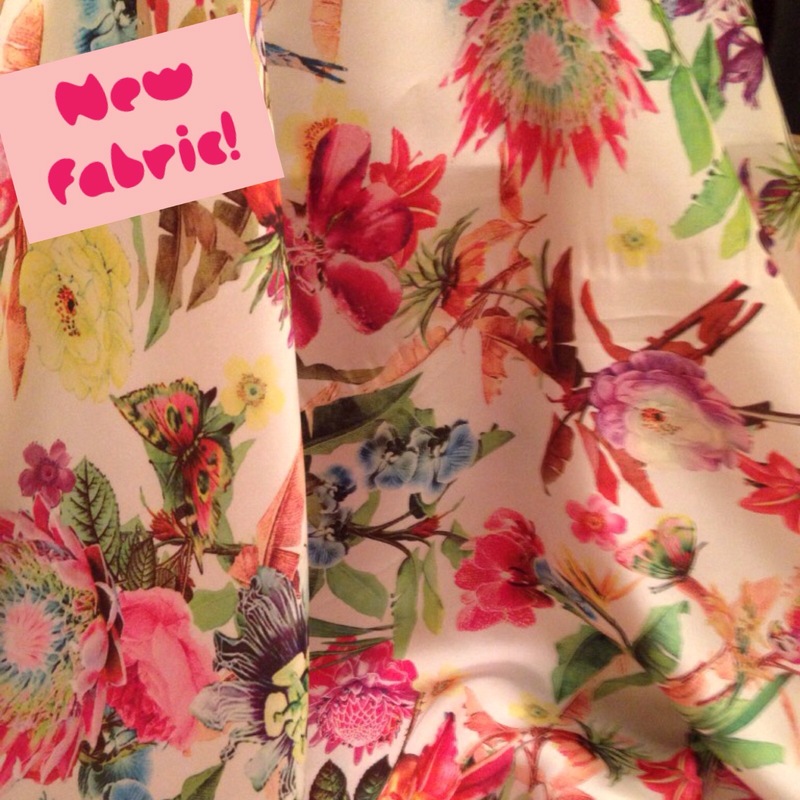 Yes, yes, I got some fabric! Janice bought me two metres as she is hoping to see a Ted Baker style creation for £8!!! I have been searching for a magnolia print after seeing a beautiful Hobbs dress I would like! Fingers crossed! 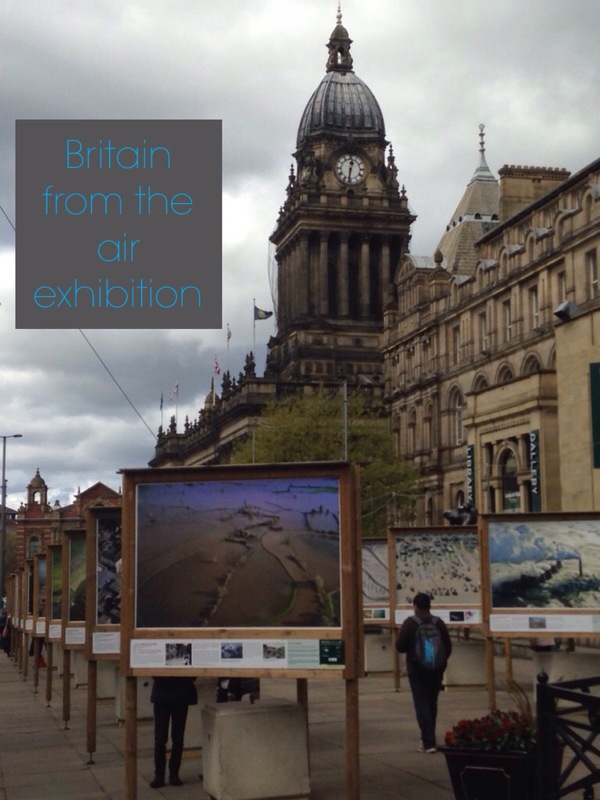 And you may be wondering what the blog manager has been up to during the visit to Leeds!?! Notions: 20inch zip from stash. I usually use concealed zips now as I can usually sew them in much neater, however, I am very pleased with how this turned out! Wonky factor: 7/10 as it is still too big around my middle but my nice cardigan manages to pull it in! And Janice always has a little gift for me! Wherever she travels she finds something for me! I am so lucky-she is a great friend to have.Thank you Janice! I always love yucky weather days for hunkering down to some craft or reading books. I am really good. Still busy overbuying fabric and trying to find somewhere to store it. Ha ha. Hahaha aren’t we al!!! ?? 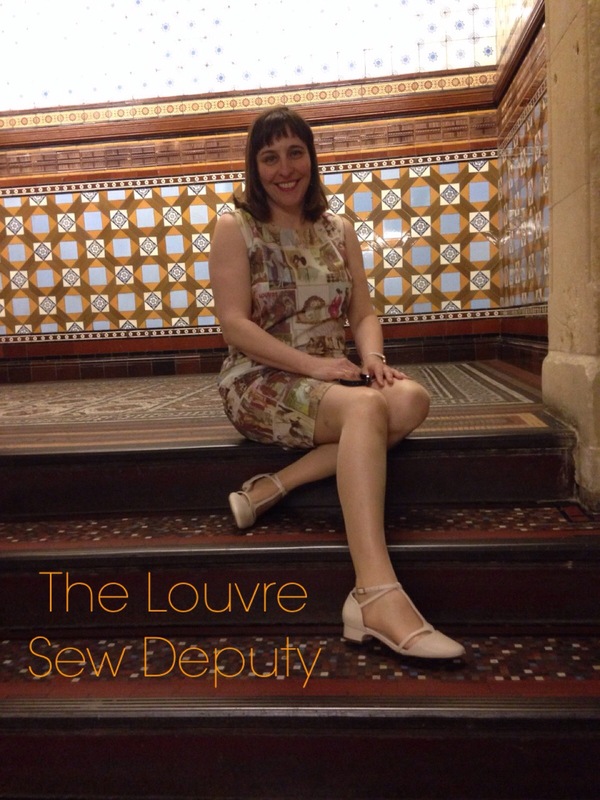 An easy sew is pretty much the best kind of recommendation! 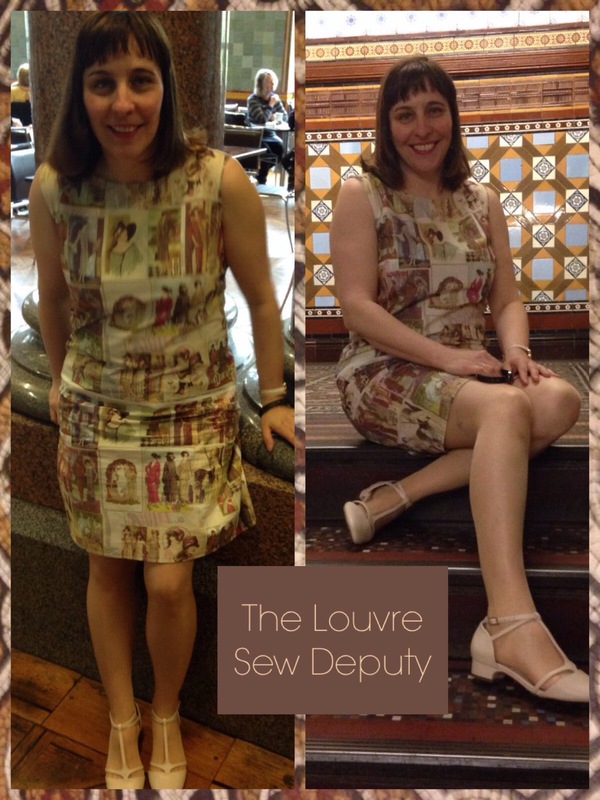 After reading your post, plus inserting an invisible zip that I am fairly happy with last night, I think this has just moved up my To Make list 🙂 – but I will check the sizing! Yes, go for it! The other pattern I love at the moment is K1609 and it is like a shift but has a more fitted dart on the front. I cut two out yesterday and am going to get finishing them today !! I just got some quilting cotton in flowery shades…perfect for school! Don’t they all??? Haha, there is always an original design feature in mine somewhere that only I would know about!! Yes, did double cutting out! 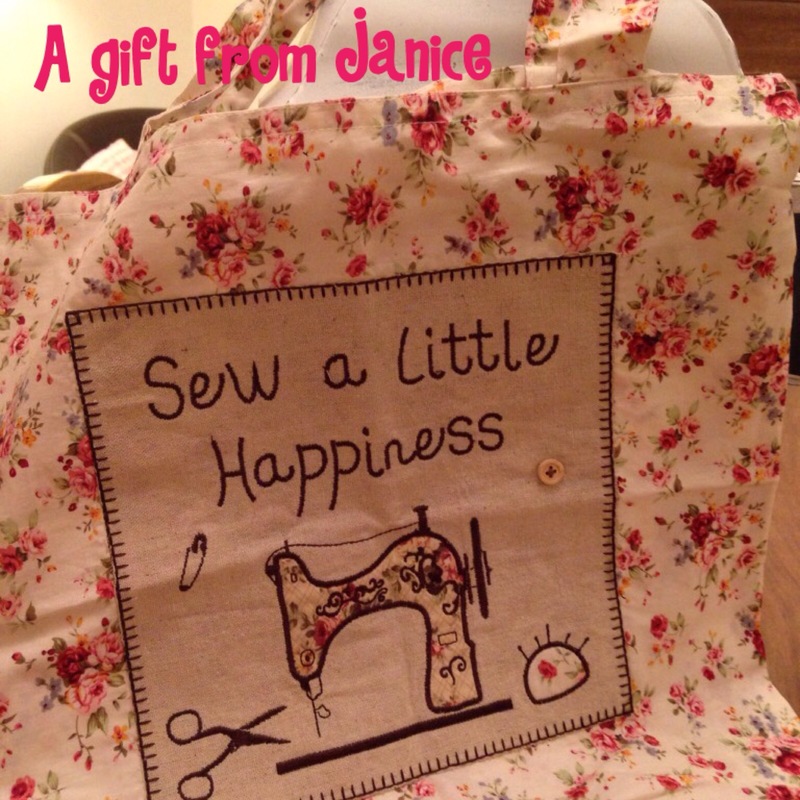 Have a happy sewing day, oh and walking too!! I love the fabric. I’m glad that you found a dress pattern that shows it off! Yes, I had to go for as few darts as possible, so it is not as fitted as I would prefer, but needed showing off! It is such beautiful fabric. Thank you! Lovely print and dress, so original. I love it. The museum looks so lovely, very nice pictures. Lovely frock & shoes, and that fabric is outstanding! As you may know, I love shifts for summer, and would be paying attention to this pattern… but have no blog manager, to zip that back zip, and it’s too long a commute. Tiles, ironwork of hand rails, and building very impressive! Reminded me of similar buildings in the midwest, and downtown DC. Wow, what a cute dress! The fabric looks like a great deal! 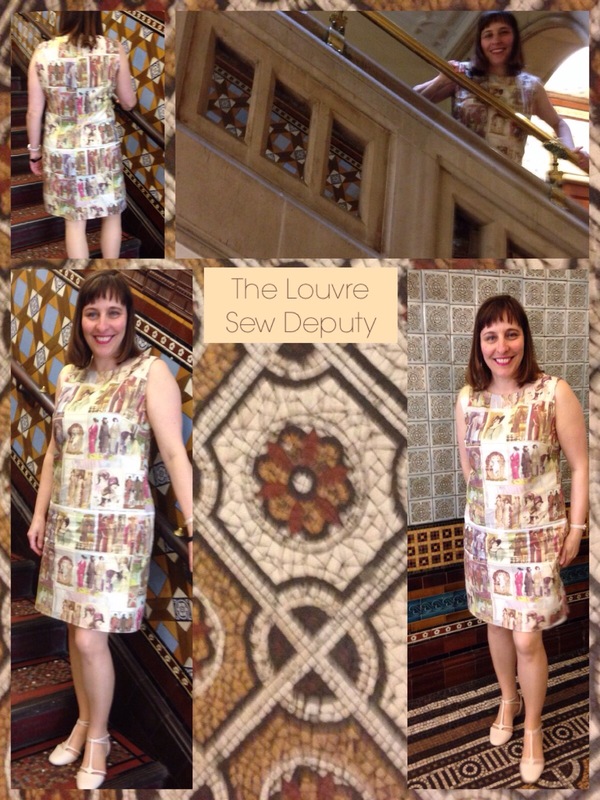 Love the dress and the new fabrics look lovely. Such a massive boost when someone asks where you got an item you made from. Well done. Thank you! Isn’t it just!?! And yesterday someone else commented on it! It must be a dress worth a comment! Haven’t got any others like it! We go into Leeds all the time but I’ve never been in there! It looks fabulous. 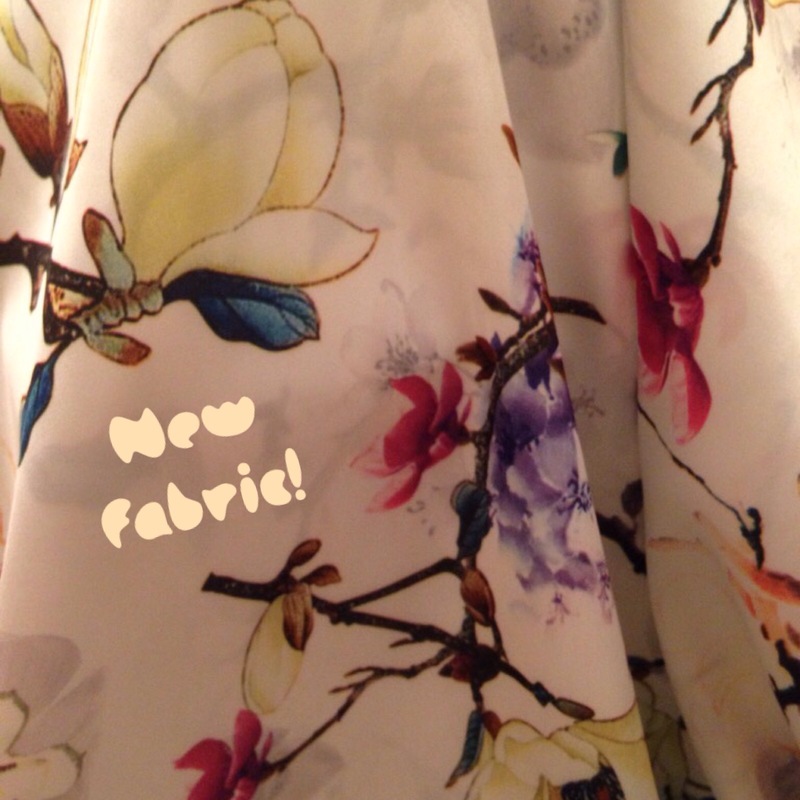 And LOVE your new fabric! You definitely need a visit. I think it is called The Tiled Cafe. Just left at the top of the steps as you go in! Another fab frock! If you get any smaller you need to send your big clothes to me!! Shall I make a list of my favourites!? I’m trying not to buy any – my stash has gotten out of hand so unless it’s an absolute necessity I’m being good. I’m being good with cake too…… Good at eating it!! Haha! The fabric is stunning! You’re so clever getting this dress out of one metre! Great photos too! Ha! Don’t be too impressed it is very wide fabric. The stall holders had designed and made it themselves, so it was either 54 of 60 inches I think! Looks like you had a great day. 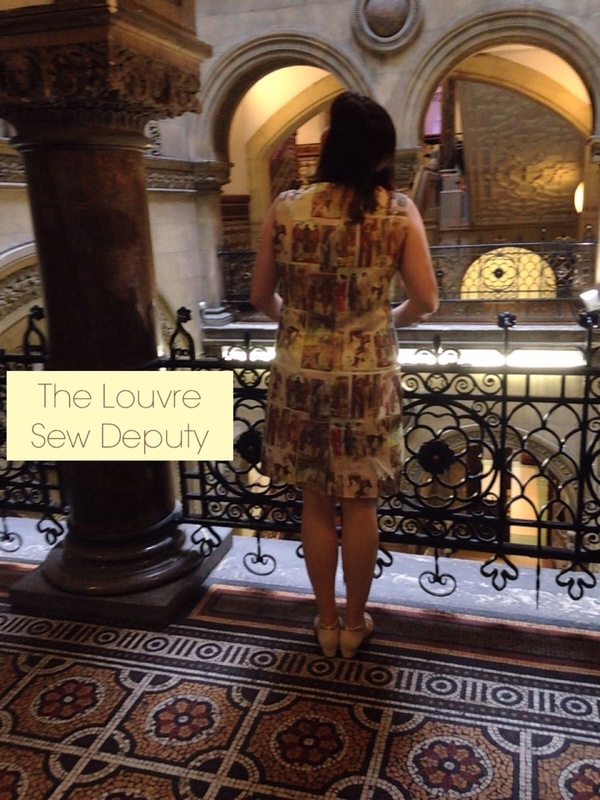 I do love that fabric – you did well to get the frock out of one metre. 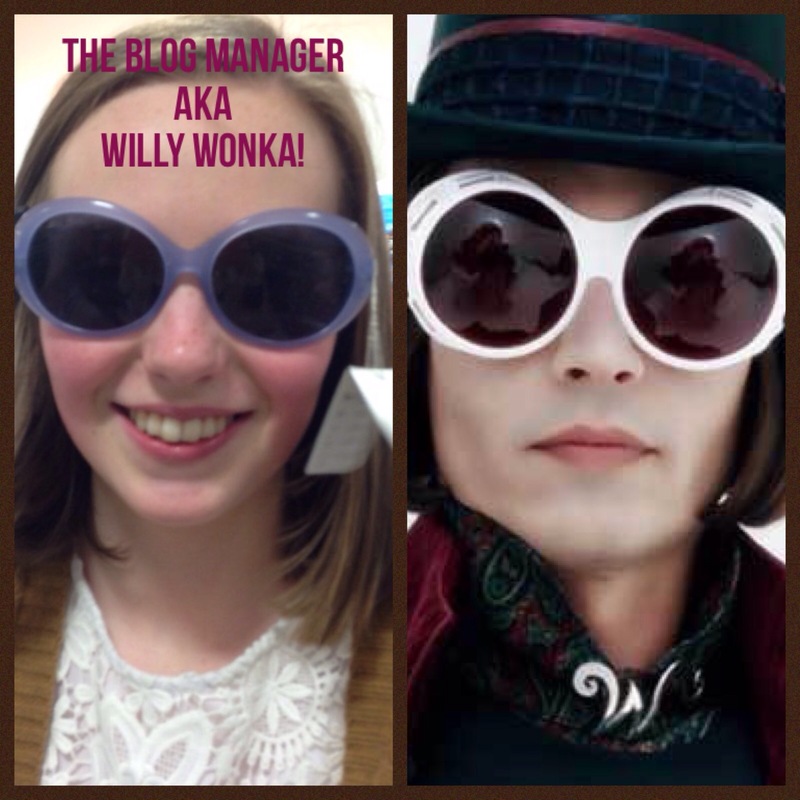 The shoes are also FAB and the Blog Manager pic is emerging as an engaging feature of your blog. Hope you are enjoying the BH weekend – are you doing MMMAY15?